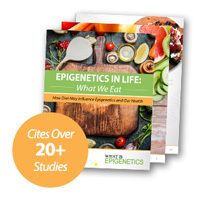 Dad’s Drinking Could Epigenetically Affect Son’s Sensitivity and Preference for Alcohol | What is Epigenetics? According to a new study from University of Pittsburgh School of Medicine, a father’s excessive drinking behavior could set up his son for alcohol abuse, even before conception. Results published in PLOS ONE demonstrate that mice show more sensitivity to alcohol’s effects and are less likely to drink it if their fathers were chronically exposed to the substance before mating. This recent animal study adds to the evidence linking heredity and the propensity for alcohol abuse. Previous studies support the inheritance of alcoholism within families, which is seen predominantly passed down from father to son. However, only a few gene variants have been connected to Alcohol Use Disorder and they make up only a small portion of risk of inheriting the disorder, according to Gregg E. Homanics, Ph.D., senior investigator and professor of anesthesiology and pharmacology & chemical biology at the Pitt School of Medicine. The study was conducted by Dr. Gregg Homanics and Andrey Finegersh, M.D./Ph.D., a student in the Department of Pharmacology & Chemical Biology graduate program. For five weeks the researchers exposed male mice to intermittent ethanol vapor, causing their blood alcohol levels to reach somewhat higher than what’s considered the legal limit for humans when driving. Afterwards, they were bred to females who had no alcohol exposure. Surprisingly, male mice of ethanol-exposed sires consumed less alcohol when it was made available to them as adults, compared to the adult male mice whose fathers had no exposure to ethanol. And when given the option between drinking alcohol or water, they were more likely to choose water. They were even more susceptible to the effects of alcohol, showing greater anxiety reduction and impeded motor control. The team plans to examine additional drinking models, including binge drinking, to investigate the mechanisms by which alcohol modifies genes, and explore why females seemed unaffected. Source: Learn all about it and read more about their findings here: Paternal Alcohol Exposure Reduces Alcohol Drinking and Increases Behavioral Sensitivity to Alcohol Selectively in Male Offspring. Andrey Finegersh, Gregg E. Homanics. References: UPMC/University of Pittsburgh Schools of the Health Sciences. Dad’s Alcohol Consumption Could Influence Sons’ Drinking, Pitt Mouse Study Finds. June 2014.